Are you a dog lover who just adores puppies with their beautiful eyes and playful souls? If the answer is yes, then this video slot machine is exactly what you are looking for. This 3D video slot, Puppy Love, is all about puppies and dogs, which explains the name of the slot. Once players open the game, they will see that the entire interface of the game is inspired by puppies. Puppy Love is a 3D slot game that is powered by one of the masters of 3D games in the industry of online gambling, Betsoft Gaming. This is why players will be able to enjoy an immersive and an engaging experience that is presented in wonderful 3D graphics and symbols that can become 3D animations that are quite exciting whenever they are a part of a winning combo. For starters, the reels come in the shape of a dog house with beautiful colors. As for the control panel buttons, they are also strongly affected by the theme as the coin value button comes in the form of a dog’s food bag, the spin button comes with a dog bone on top of it and more. As for the symbols, they include many beautiful puppies with captivating eyes, a dog house, a dog’s food plate, puppies for sale sign and a dog’s collar. These symbols land on the 20 lines and the 5 reels that the game has to offer. These different icons pay players in different amounts whenever player manage to get a minimum of 3 matching icons on the same payline that they have placed bets on. The biggest of these payouts is equal 10000, which is given to players who succeed in getting 5 of the wild dog collar symbol on the same payline. Other payouts and the special features and symbols of the game can be easily viewed by players as they click on the View Pays button. The highest paying symbol, the collar, also acts as a wild icon that has the ability to substitute for any of the other icons that land on the reels of the game. The only two symbols that the wild collar can’t replace are the dog’s food plate and the Sign symbol. The Dog’s Food Plate is a scatter icon that has a lot to offer. Firstly, it gives players greatly rewarding scattered rewards. 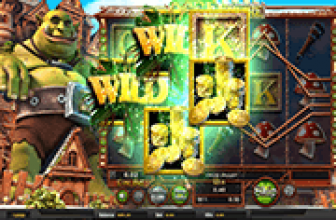 Players can earn from 40 up to 4000 coins whenever they get from 2 to 4 scatter symbols anywhere on the reels. 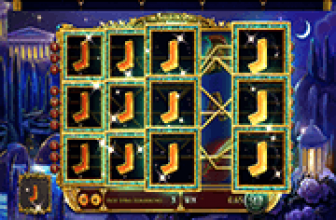 Secondly, the scatter will activate the free spins round that give players up to fifteen free spins on the 3D slot. 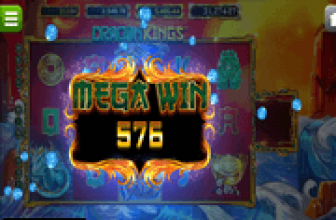 All wins earned during free spins are doubled. The last special icon is the Sign bonus symbol that can trigger the bonus feature of Puppy Love. It is called the Puppy Store bonus Round. Players would need to get two or more of these bonus sign symbols in order for that to happen.